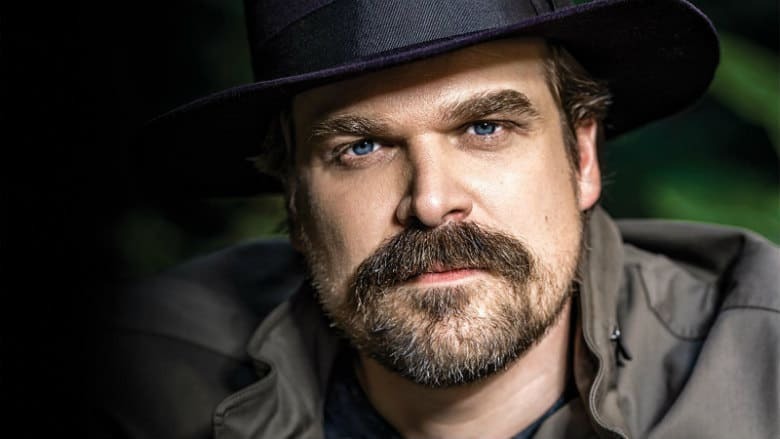 Black Widow Movie Cast Adds David Harbour | Nerd Much? There’s a lot of places we’ll be seeing David Harbour in the near future. But one of them we didn’t expect was within the Marvel Cinematic Universe. That’s set to change, as The Hollywood Reporter is declaring that the actor has been added to the Black Widow movie cast. Details on the project in general are scarce. Although it’s set to be a part of the MCU Phase 4 slate, the movie’s existence isn’t even official at this point. The only film that is past Avengers: Endgame is Spider-Man: Far From Home, and that’s likely just to appease Sony as the rights owner to the character. As a part of the Black Widow movie cast, Harbour could really be anyone – past, present or future. We know Natasha Romanoff has a troubled history. A lot of red in her ledger, as she says. It was touched upon during a few poignant moments in Avengers: Age of Ultron. But whether we revisit those dark times for the character or experience an adventure after the events of Endgame is purely up to speculation at this point. The project should theoretically be ready to roll sometime soon, will filming reportedly starting in June. Ned Benson was hired to rewrite Jac Schaeffer’s script back in February. Back in July, it was reported that Cate Shortland would be directing the movie. As for Harbour, the actor has seen a surge in popularity over the last few years. He came into prominence as Chief Jim Hopper in Netflix’s Stranger Things. And he’ll lead his first big Hollywood tent-pole flick with his portray of the titular character in the upcoming Hellboy reboot. Once the dust settles on the MCU (pun intended) following Avengers: Endgame, we’ll likely hear a lot more on the future slate of films headed our way. And with that, some actual details on what the Black Widow will focus on and when we’ll be seeing it.